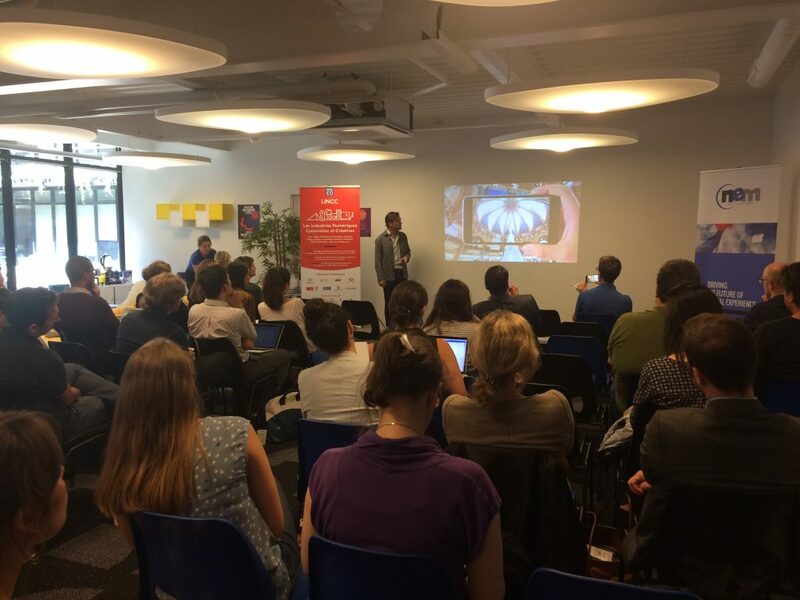 On the 9th of June, during the Futur en Seine festival, Paris&Co hosted the NEM Creative Industries Meetup, organized by Cap Digital and the NEM Intiative. Numerous stakeholders from creative industries sector gathered to exchange, network and test innovative solutions. 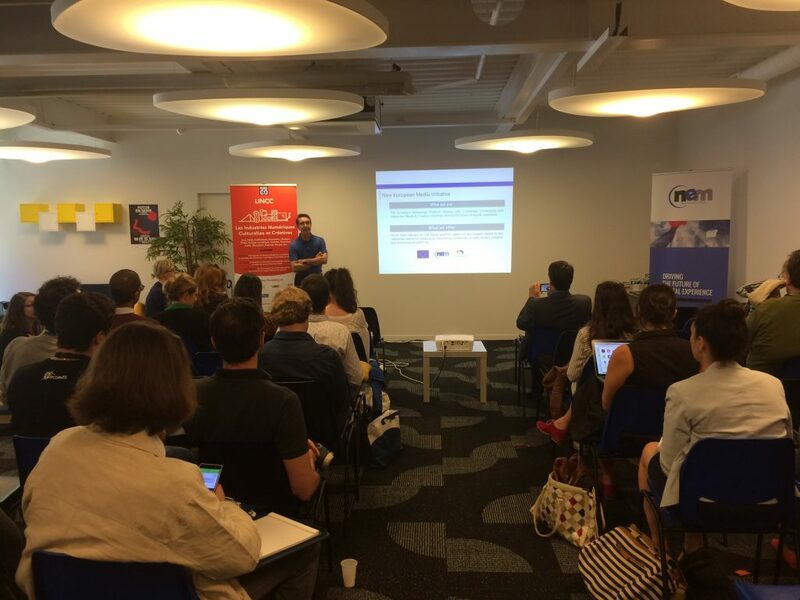 After a short introduction of the Paris&Co and its LINCC platform, Jean-Dominique Meunier, president of the NEM Initiative opened the session by presenting the network and its actions. In order to showcase some examples of creative industries stakeholders and to underline one of the current trend in the digital sector, four start-ups presented their virtual reality innovative solutions before inviting the public to test them. SkyBoy’s Overlap Reality is an exclusive technology that optimises the effects of augmented reality. It is an original tool available to brands, regions and a new generation of retail. Innerspace is a cutting-edge VR creation studio, dedicated to leveraging the power of VR to build new forms of entertainment with a strong creative identity. In the field of Art, Culture and Heritage, Art of Corner produces a unique User Experience in Virtual Reality and broadcasts it in a materialized and dematerialized way. Persistent Studios develops software and middleware tools for creating real-time special effects. Their main product is Popcorn FX, a solution for video game studios to create and integrate real-time particle effects. To close the session, Ms. Agnes Alfandari of Institut Français presented Culture.vr, the first showcase of French VR creation. Culture.vr documents the invention of a new language to address immersion, experience and sensorial space. Culture.vr explores these new virtual realities through three different thematics: visual arts, performing arts and filmed and interactive narratives. The event gathered about 60 participants who had an opportunity to discover, experiment and build partnerships, as the rest of the afternoon was dedicated to live demos and networking.